2. 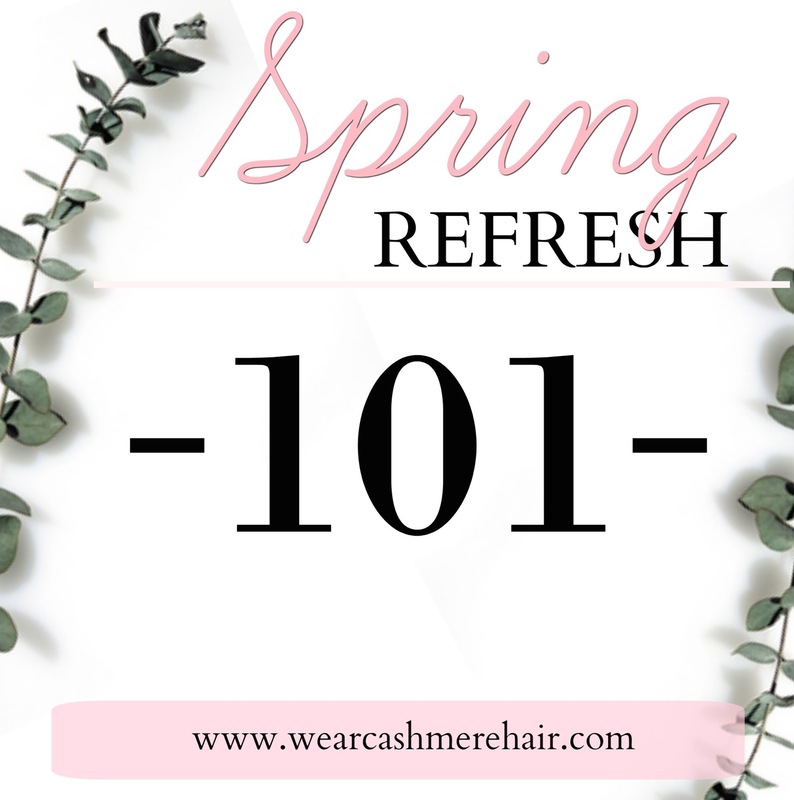 Hair Revamp – Maybe you’ve been wanting to change up your hair, well this is the time to do it! Add bangs, layers, get a new set of extensions, change up your hair color! The options are endless and it’s always nice to mix things up after the Winter season. 3. Make a New Inspiring Playlist – A new playlist with cheerful music is a great way to get that spring cleaning done! Spotify and Apple music are both great tools to get endless options for cheap! 4. Set a New Goal – Who says the New Year is the only time for goal making?! Maybe it’s within a business, or a new fun tradition you want to start doing in your family. No phones in the kids room? Hit new sales numbers? Whatever it is, pick something attainable but that you would be really proud to reach/do! 5. Invest In Cute Rain Attire – With the rain can often come some blues, but when you have an adorable umbrella, rain jacket, and/or fun rain boots, the rain will become exciting rather than a burden!